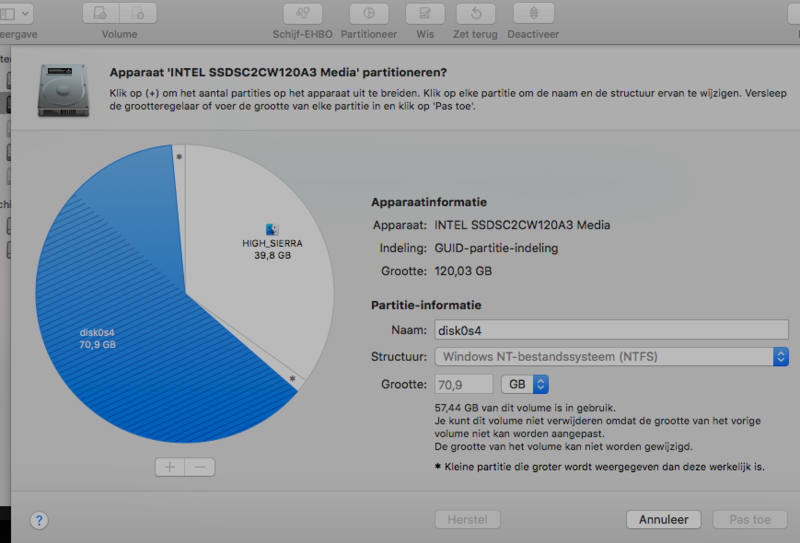 Hi there, I would like to extend my mac os partition with the full size of my ssd (which is a total of 120gb). The problem is I have currently a dual boot setup with mac os and windows 10. I want to completely wipe windows 10 and use the full ssd space on my mac WITHOUT REINSTALLING MAC. As you can see in the image below I currently only have 8 gb remaining which ain't a lot. Would it be safe to remove the windows parition using terminal? Or what would you guys recommend? As you can see I cannot change the disk0s4 (which contains windows 10).